For Corrective eye ageing ! 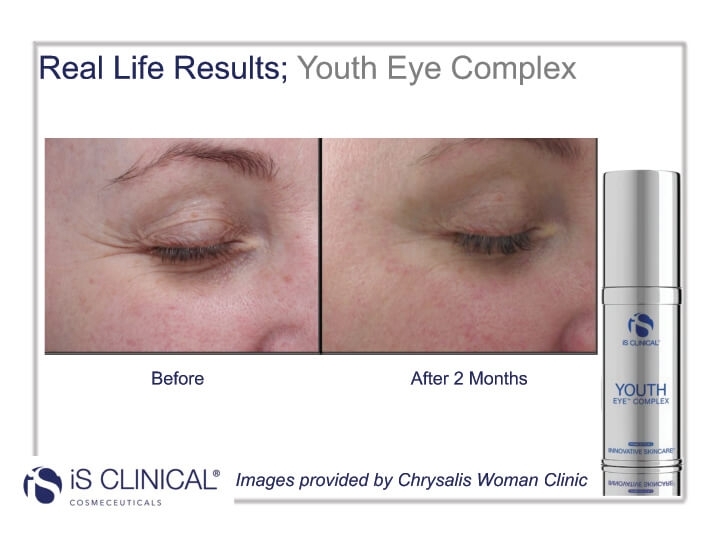 An anti-aging eye treatment for reducing the appearance of fine lines, puffiness and dark circles. 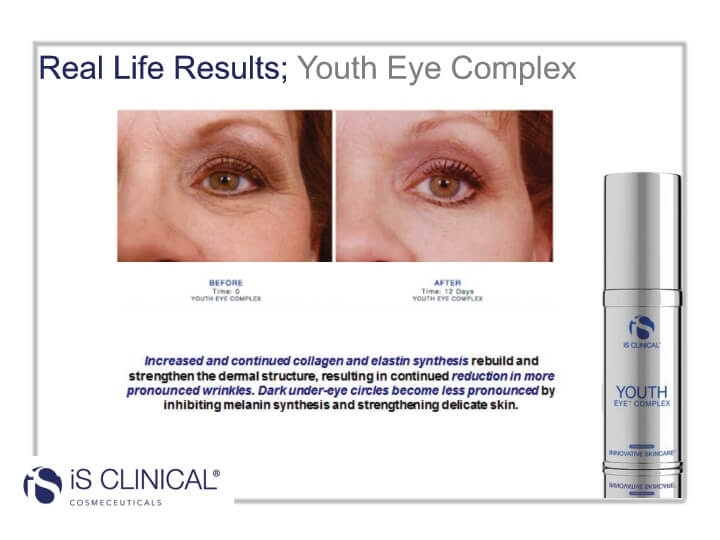 A powerful blend of Peptides, growth factors, antioxidants and proteins to target the eye area with immediate and long term results. Reduces expression wrinkles by neuromuscular mediation. Apply to clean skin by dabbing gently on the delicate under eye area. For best results use as guided by aesthetic practitioner or as part of the IS Clinical skin regimes.